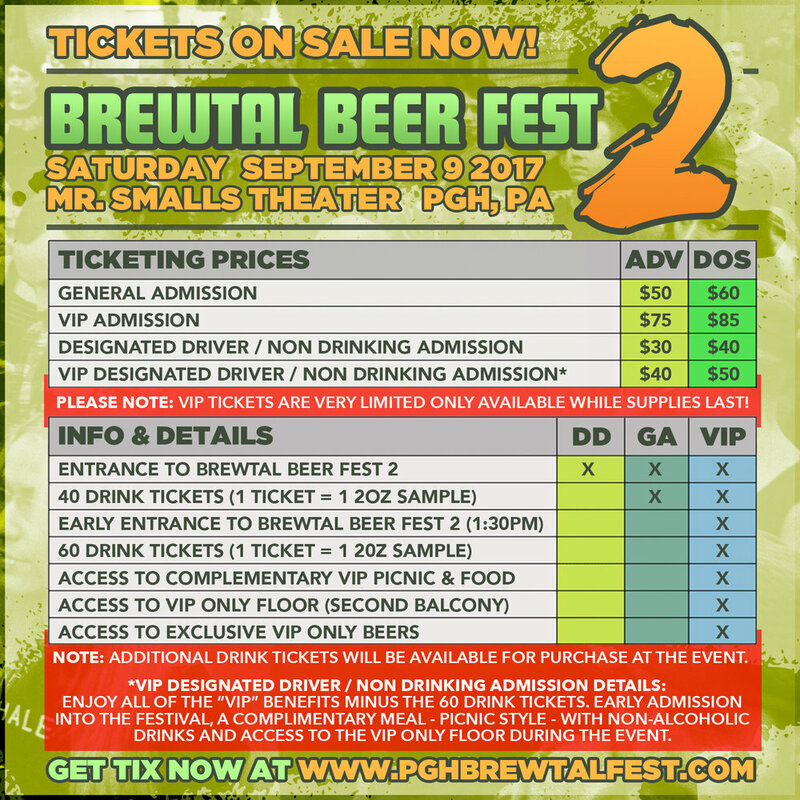 Brewtal Beer Fest 2 - This Saturday! 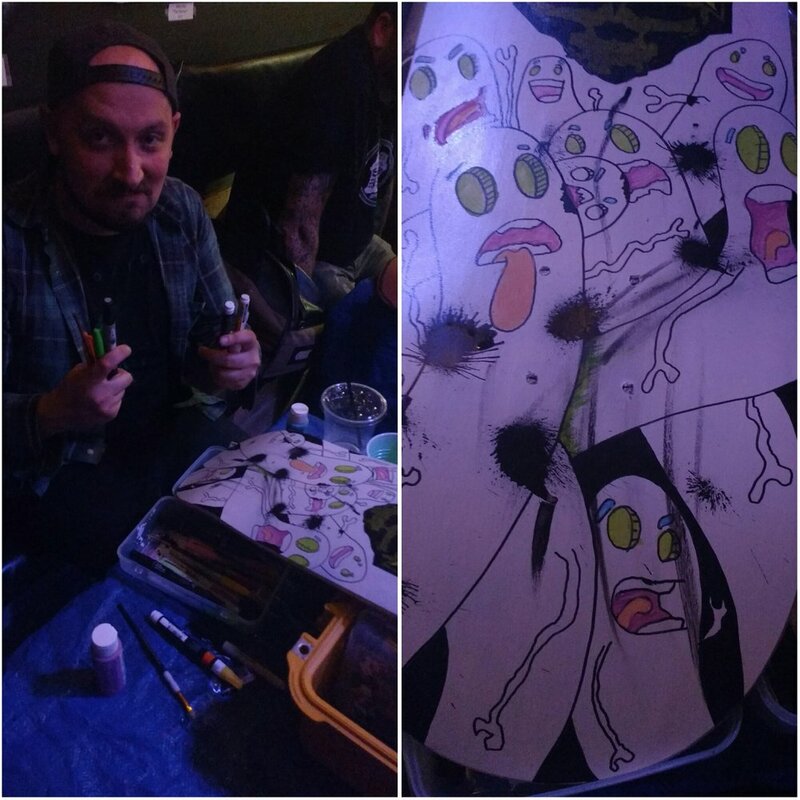 Beer, Metal & So Much More! The time is here! The big event that I have spent a large chunk of my year helping coordinate and organize is finally happening this Saturday! BREWTAL BEER FEST 2, BABY!!!! I've already been talking about this for months but I wanted to put together one final post to get all of the updated info in one spot for anyone who missed anything. Again, the event is THIS Saturday (September 9th, 2017) at Mr. Smalls Theater & Funhouse in Millvale, PA. 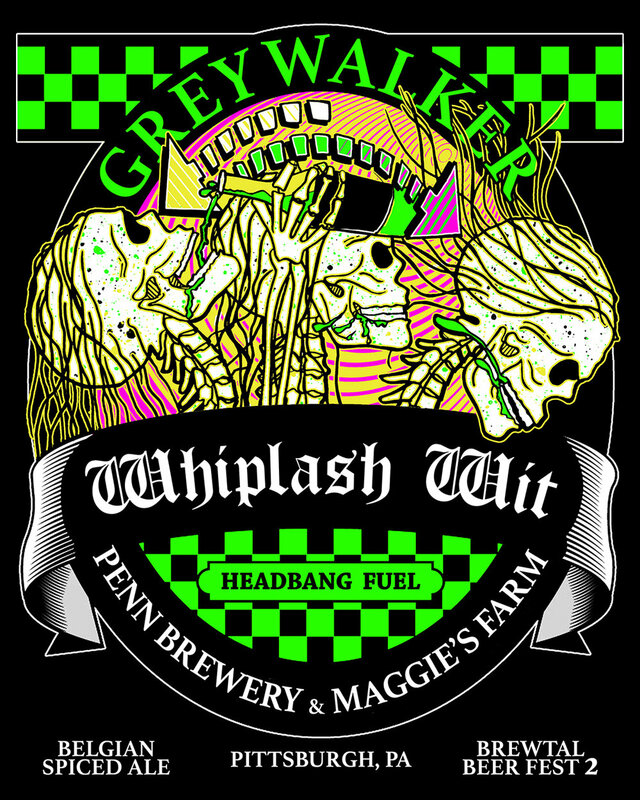 It features 10 Bands performing live on 2 Stages, 30 Breweries and SO MUCH MORE! Some of you may have noticed a recent lineup change. It's a huge bummer, but due to unforeseen circumstances Black Crown Initiate had to drop off of the Festival. However, the guys in Byzantine have stepped in and this lineup is still as badass as it ever was! We're really excited to have them on the event! 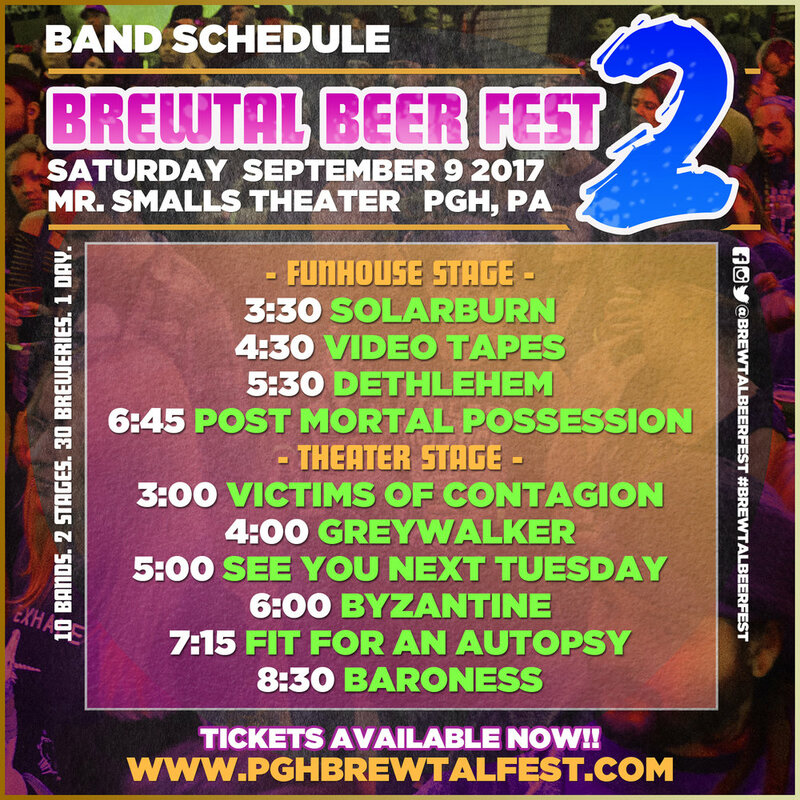 One of the most exciting elements of Brewtal Beer Fest is the EXCLUSIVE Beer Collaborations between the bands & breweries. This year we will have 10 Collaboration brews available in addition to all of the other beer that will be available. Check out this series of videos highlighting most of the collaborations below! 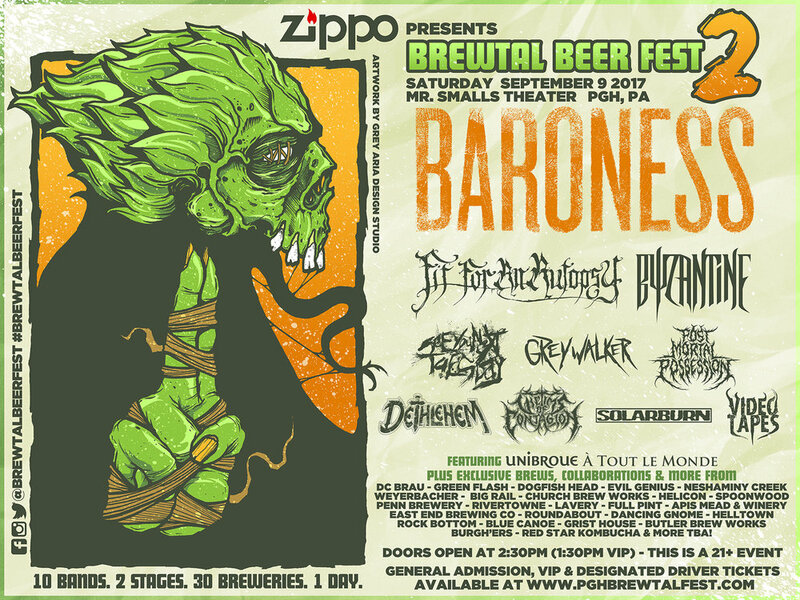 Baroness will have an exclusive beer at the festival as well! Brewed in collaboration with DC BRAU. Helltown Brewing will also have "Fit For A Hoptopsy" available at the event. Brewed exclusivley for Fit For An Autopsy. In addition to all of this awesomeness, Black Forge Coffee House & Pittsburgh Retro Gaming are going to be teaming up and taking over the War Room at Mr Smalls to create a Pop-Up Cafe & Retro Arcade Cafe! Black Forge Coffee House will be serving up hot and iced coffee, cold brew, tea, and vegan baked goods! PRG will be setting up a bunch of your favorite old retro video games! Open all day in the War Room at Mr. Smalls during the festival! Black Forge Coffee House also just made a beer with Full Pint Brewing Co that they will be debuting at the Festival! It will be on "tour" throughout the city and it's first stop is September 9th at Brewtal Beer Fest 2! Tickets are still available online so if all of this stuff sounds good to you then what are you waiting for? Get your tickets today! Below is a graphic detailing the different options and how everything works. Need help with travel plans for Brewtal Beer Fest 2?! No worries! We’ve also got you covered on that. Our pals over at Comfort Inn & Suites will be taking care of you! Click the image below to get an exclusive 25% discount on their BEST RATES for that day. It’s a quick 15 Minute drive to Mr. Smalls Theatre, so be sure to down load the zTrip app and get $10 off your ride using the promo code “BREWTAL” September 9th and 10th! And that pretty much covers it. As you can see, It's going to be an insane day and we're all very excited. There are a lot more articles posted on the Brewtal Beer Fest website and you can find us on Facebook, Twitter and Instagram as well. 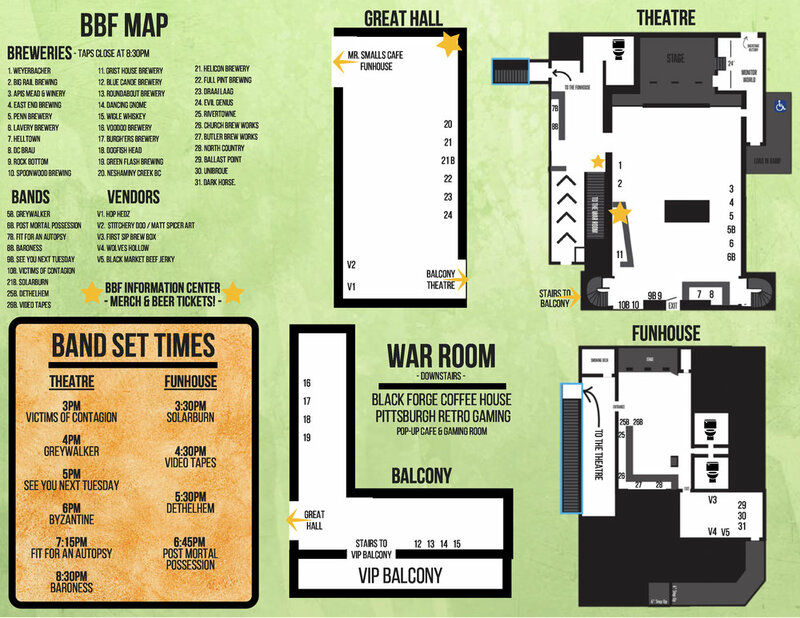 I hope to see everyone this weekend at Mr. Smalls Theater and Funhouse for Brewtal Beer Fest 2! Cheers!